Have you heard of the Pogo Pass? 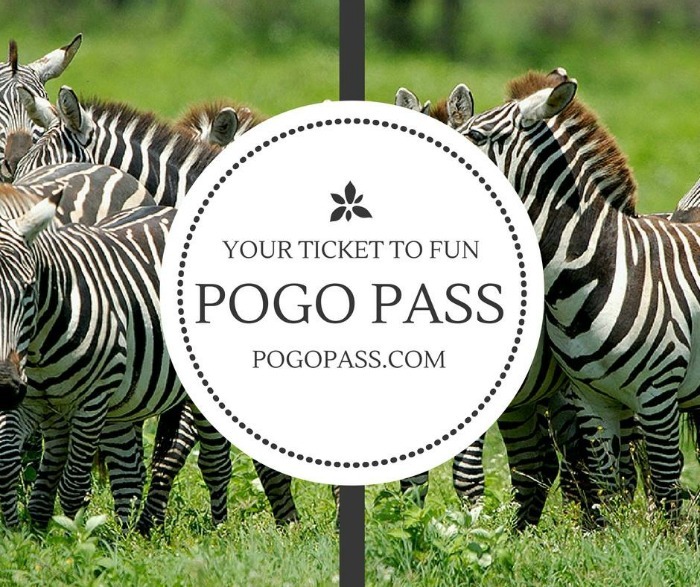 If you have kids and love going to places like the zoo, sports events, or children’s museums (whether at home or while you travel) – the Pogo Pass is for you! One pass. One price. Good for One Year! It doesn’t get better than this. 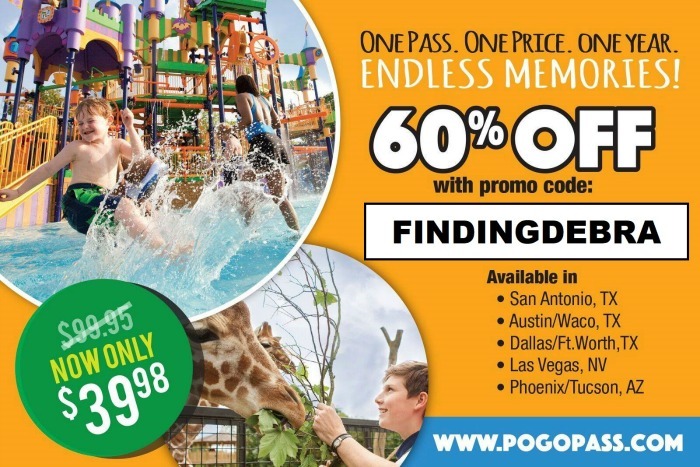 So read on as I’ve got the best Pogo Pass deals around – 60% off, saving you money on summertime fun, vacation fun in select cities, and more! What is a Pogo Pass? And Pogo Pass Deals! Money Saving TIP: 60% off Deal available here for Pogo Pass! Add to cart then add your name. When you go to checkout you will see the huge discount (not before then)! Read below for more details and don’t forget promo code of FINDINGDEBRA if it doesn’t automatically take discount. A Pogo Pass can save you hundreds of dollars on entertaining the kids or vacationing. Save on local attractions – everything from museums and water parks to zoos and sports events. Where is the Pogo Pass available? For one entire year, you have a select group of attractions that you can get admission into for free. Buy now and straddle 2 summer vacations. 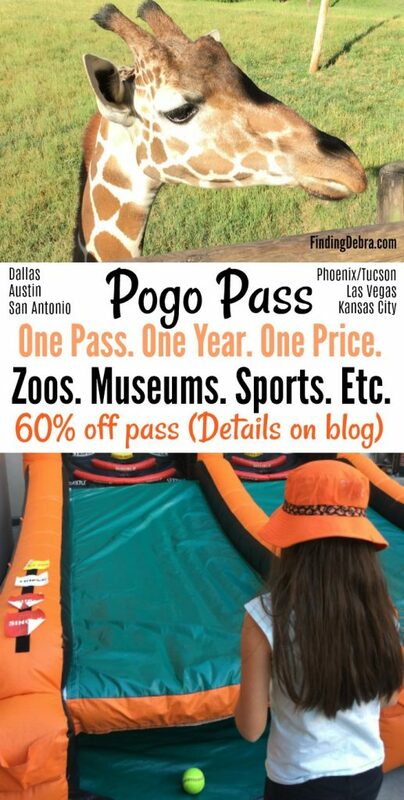 The Dallas/Fort Worth Pogo Pass includes admission (sometimes more than once) to attractions like the Fort Worth Zoo, Hawaiian Falls Waterpark, the Children’s Aquarium at Fair Park in Dallas, Urban Air trampoline park, and even two Frisco Rough Riders baseball games. PROMO CODE – POGO PASS DEALS 60% off! Have I got a deal for you! For Finding Debra readers, the Pogo Pass (normally priced at $99.95) is slashed to $39.98 + tx with promo code: FINDINGDEBRA. This promo code is good for any of the Pogo Pass cities! ACCESS DEAL: Visit and find your location here. Add to cart then add your name. When you go to checkout you will see the huge discount (not before then)! 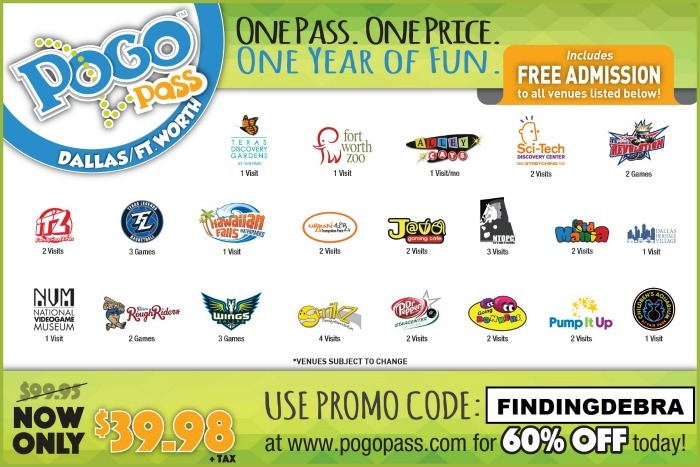 For my family the Pogo Pass is perfect, especially since I can use it year round. There are so many incredible attractions, it just makes good sense. If I added up the admission I would normally pay to visit the attractions, I can easily tell that $39.98 is a steal! But you guys know me – I tend to travel quite a bit. Traveling with kids can cause expenses to add up quickly. But let’s say you are visiting San Antonio (which I have already done once this summer), for the price of $39.98, my daughter gets admission to perfect vacation venues like the San Antonio Zoo. Or let’s say I want to visit Phoenix/Tucson area, the Arizona Zipline Adventures are on the Pogo Pass! Or for those of my friends who are Texas Longhorns fans…the Austin Pogo Pass allows admission for (1) general admission ticket to ALL of the listed University Of Texas home games! THAT is a deal! One price with tons of attractions – I dare say that might be the way to do a family vacation. Buy Pogo Passes for everyone and just stick to those attractions! I love this! What city would you like to see added next? I wish Southern California had POGO PASS. I might have to move to Texas! POGO Pass sounds AMAZING!! I’ll have to talk my husband into this great deal!